Tallinn is the capital city of Estonia, one of the world's most digitally advanced nations and home to the magical Old Town area, a UNESCO World Heritage Site and one of the best preserved medieval towns in Europe. Our flight from London took just under 3 hours and landed us in Tallinn before lunch time, leaving plenty of time to explore away the afternoon. We picked ourselves up a 72hour transport pass at the airport when we landed for only 7euros each (2 of which are refundable if you return the card at the end of your stay). The card gives you unlimited travel on all the local buses and trams and although the old town is incredibly walkable, the pass is great if you have any interest in visiting the outer suburbs of Tallinn. It also includes tram 4 which runs between the airport and old town in just 30mins. I recommend picking a hotel in the historic centre as you will undoubtedly want to spend every waking moment oogling the thousands of gorgeous doors and rolling the short distance home again once you have eaten far too much delicious food. We stayed at My city Hotel, a no frills but welcoming hotel in a perfect spot. The main part known as "all-inn", is a maze of ridiculously photogenic streets with the Town hall square at its heart. 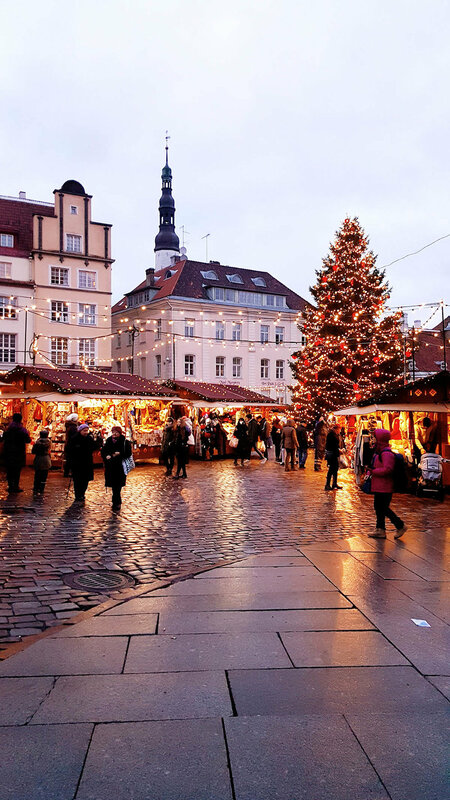 Its here you will find the beautiful setting for Tallinn's Christmas Markets. The markets run from mid november until early January and feature an astounding array of mulled wine choices as well as plenty of handmade trinkets and woollen gifts. Set in the centre of the wooden market chalets is Tallinn's beautiful tree which claims to be the first public christmas tree ever, standing in the same spot since 1441. The medieval old town creates the perfect backdrop and makes Tallinn one of the most charming Christmas Markets in Europe. Between the old town's fairytale good looks and the winter chill in the air you'd be forgiven for thinking you'd stepped into a christmas carol as you wander the cobbled streets. My advice is to ditch the map and just enjoy wandering the alleys and lanes, there is no wrong turns in a city this pretty! The most delicious pumpkin cheesecake from Cafe Maiasmokk. 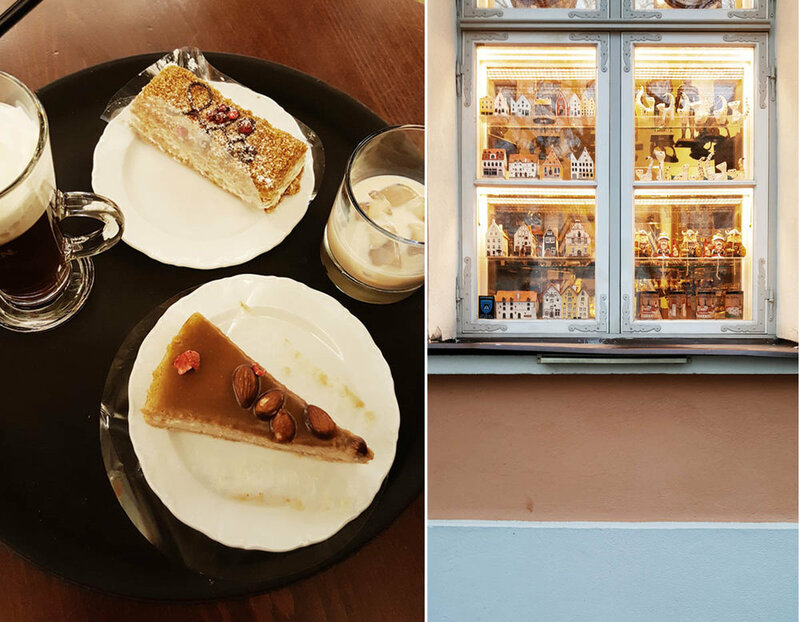 The oldest cafe in Estonia. 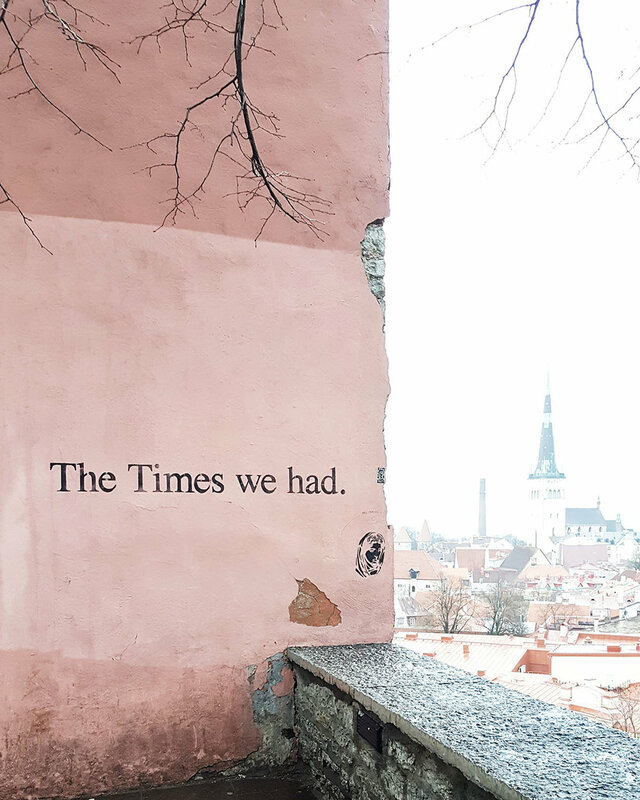 While its tempting to spend all your time visiting (and revisiting ) the gorgeous sights of the Old Town, there is more to Tallinn than its historic centre. Make use of the affordable travel passes and take a local buses or tram to the outlying suburbs. Kadriog is 2km East of the city centre and features Kadriog palace and grounds. Visit there for museums and garden strolls. Kalamaja has come a long way from its recent industrial and fishing port past and is now the hipster's hangout in Tallinn. Check out the Balti Jaam Market for some local shopping and then wander over to the Telliskivi creative city for a trendy meal. Visit there for pastel coloured wooden houses (more beautiful doors) and the coolest bars and restaurants in town. 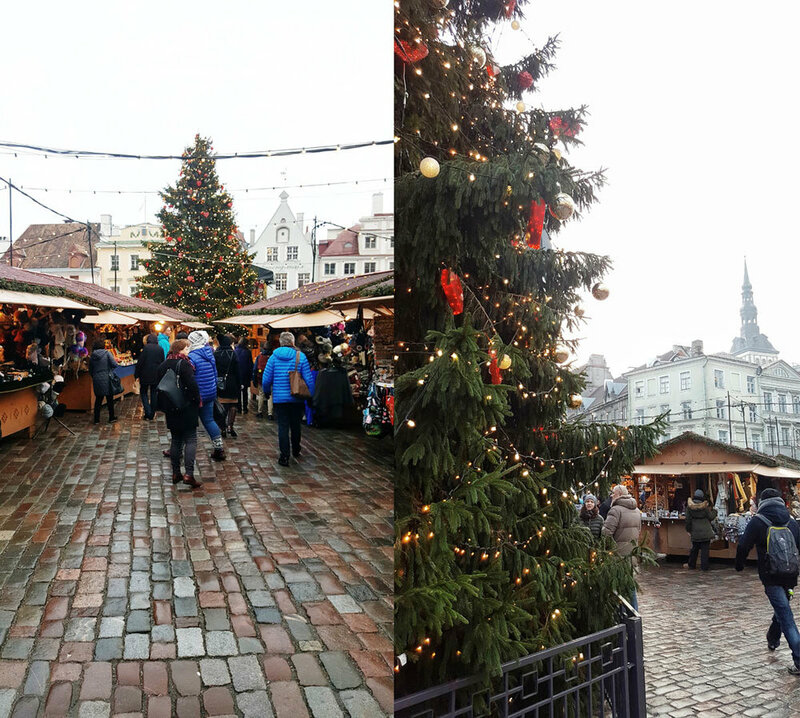 Visiting Tallinn in Winter was a perfect choice, the winter weather added to the cosy atmosphere and thanks to the christmas markets hot drinks & snacks are never far away if you need a pick-me-up. In Summer I've heard the cobble stoned streets can get crowded with tour groups and stag parties so I think we picked the perfect season to visit! All in all Tallinn was an affordable and hassle free weekend break, and the markets were small but lovely and featured one of my favourite trees to date.